Online marketing, if done well, can give you massive brand exposure and sell anything from an idea to small, unfamiliar items you didn’t even imagine exists. 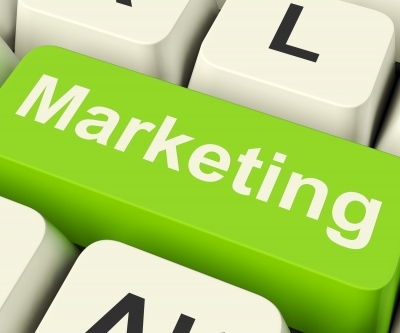 But how do you go about launching a successful marketing campaign? The first thing you need to do is obtain knowledge about the different approaches there are out there and choose the one which is most fitting to your needs and budget. Online marketing can be very costly or cost you almost nothing at all. It all depends of which approach you take. Check FireRock Marketing for more. The obvious pros in this approach is you have full control on all of your marketing channels which lets you set your own strategy, have more flexibility in any change you wish to take and of course, you can be sure your marketing department has you as its first priority with any action it takes. The cons is the high costs, the time it will take to recruit and train the people, ongoing human resources maintenance and being depended on only one marketing source. This approach will fit only big Companies with a high marketing budget and a lot of faith in your product selling through an online channel. Previous experience in marketing, even in offline channels, would be an extra plus. This is one step before hiring a full marketing team and can be very effective if you find someone that knows what he’s/she’s doing. This approach will be mostly based on outsourcing the work to small marketing companies and freelancers and managing everything from above.Â There’s still a lot of control and flexibility, but you’re just one out of many customers for these marketing experts. There would also be a big challenge in finding the right person to do the job and the progress will probably be slower than having a full team working on marketing you. This approach would mostly fit medium size Companies which are not yet sure if their product is profitable and have little or no experience in marketing. Outsourcing refers to hiring a freelancer or an online marketing Company like Dux Digital, depending on your product spread and budget. This is probably the easiest solution and the least costly compared to the two above. You still have professionals to do the job, but your control on the marketing strategy will be relatively small. If you have a small Company and have no experience in marketing, this is the best approach for you. This approach is very challenging and probably the most risky one. What you do is try and find someone that is still a student which majors is marketing and offer him his first job. For the student it’s a great opportunity to get some practical experience and for you it’s much cheaper than hiring a professional marketing manager. The disadvantages of course are: it will be hard finding a talented person that will be able to learn everything on his own, keeping him motivated with a low salary, availability issues in exams periods and having to manage things yourself. This approach can work only if you have previous experience in online marketing and if you can spare the time to manage and guide this student through the processes of marketing your product. This is the least expensive approach when it comes to money, but as far as time is concerned it’s the most costly one. Its basic concept is â€“ you do everything from research and strategy building to execution and ongoing maintenance. This approach will fit you only if you have a very small Company with a low marketing budget and enough spare time to actually do this job. Also, if you’re not sure yet how profitable your product is going to be online, or if you believe it will not be very profitable, the ‘Do it yourself’ approach is probably the only one you should consider. As an expert in mobile and online marketing, Natalie Halimi has worked with many big names in the industry. You can see some of her latest work on this soft games brand – Winnings.com, which is dominating many markets in the money games industry. This entry was posted in Marketing, Searh Engine Marketing, Social Media Engagement, Social Media Marketing. Bookmark the permalink.